MKP(Metallized Polypropylene film capacitors) is available at jb capacitors company in China.jb capacitors is a reliable manufacturer for X2 film capacitor. Ideal for LED driver, condensers, Power supply, Power meter and so on. 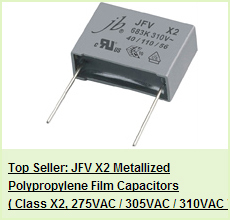 And, our JFW X2 capacitors are mainly used for parallel connections. 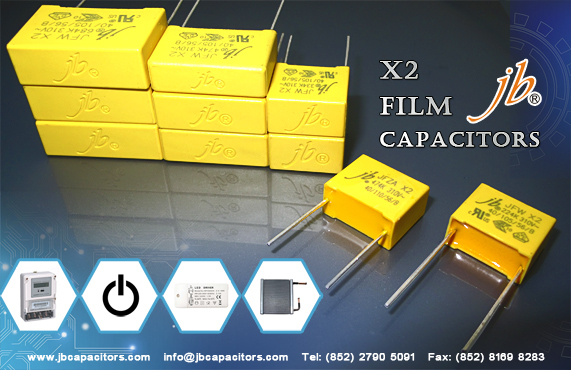 If you need the X2 capacitors for serial connections, we also have JFZA series can be chosen. 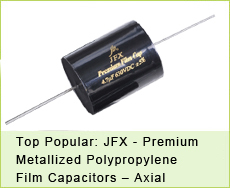 Please view our main X2 film capacitors series below. 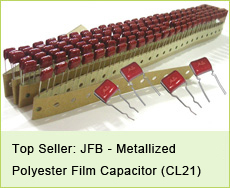 For detail information, please contact jb capacitors company.